Paul founded CANADEM in 1996, and has been working in the international community for over 30 years. In a 1995-1996 study of UN field operations for Canadian Foreign Affairs, he recommended the creation of CANADEM. The Canadian government asked him to action that direct recruitment support for the UN by setting up CANADEM as an independent NGO. Apart from a leave of absence to be the UN OHCHR Representative in Jakarta, he has headed CANADEM ever since. Prior to CANADEM he had worked in the international community for several decades. Most of his international service was in international human rights, dealing with the politics of advancing rights. With an LL.B. and LL.M. in international human rights law, Paul worked in a variety of missions and countries including Rwanda, Kosovo, Croatia, South Africa, Zimbabwe, Indonesia and Afghanistan. He has been staff with NGOs such as Amnesty International, as well as on staff with the Canadian Government, the UN and the Commonwealth Secretariat. He was a consultant for an even larger grouping including the OSCE, EU and NATO. Paul’s last diplomatic post was as Representative of the UN High Commissioner for Human Rights in Indonesia, and for four years he was the Commonwealth Secretariat’s Head of Human Rights in London UK. A former Canadian Armoured Corps officer and Royal Military College graduate, he has and continues to do civ-mil work with various militaries including the Canadian Forces (Staff College, Peace Support Training Center); NATO civil-military training, doctrine and concept development; UK Staff College; and the US Naval War College. He and his wife Marilyn have one son, Mike. Rose Cohoe, as CANADEM’s Finance Director since May 2002, has successfully managed CANADEM’s financial expansion as we have grown from 3 projects in 2002 to over 20 projects in 2015 with a value of over $10 million. In addition to her CANADEM service, she has over 20 years of business experience in a variety of private industries. Rose enjoys the fast paced environment of CANADEM and looks forward to new challenges that being CANADEM’s Director of Finance brings. Rose holds a Bachelor of General Studies from Athabasca University with an applied in Business and Administration. As CANADEM’s Finance Officer, Fiona Vincent Kitchen is responsible for the financial/administrative side of a project deployment— from budgeting, invoicing and reconciliations, to maintaining the organizational integrity of the Finance Department as part of CANADEM’s dedication to transparency and accountability. Prior to coming to CANADEM, she assisted with the 2010 and 2012 Ukraine Election Observation Missions in a surge personnel capacity. She holds an Honours Bachelor Degree of Social Science with a Major in Anthropology and a Minor in Religious Studies. She has benefited from the cultural insight gleaned from her academic work and uses its lens to approach each of CANADEM’s unique Roster deployments. Due to extensive travel abroad she has gained a wide experience with foreign currencies and an understanding of the specific financial challenges facing CANADEM’s experts overseas. 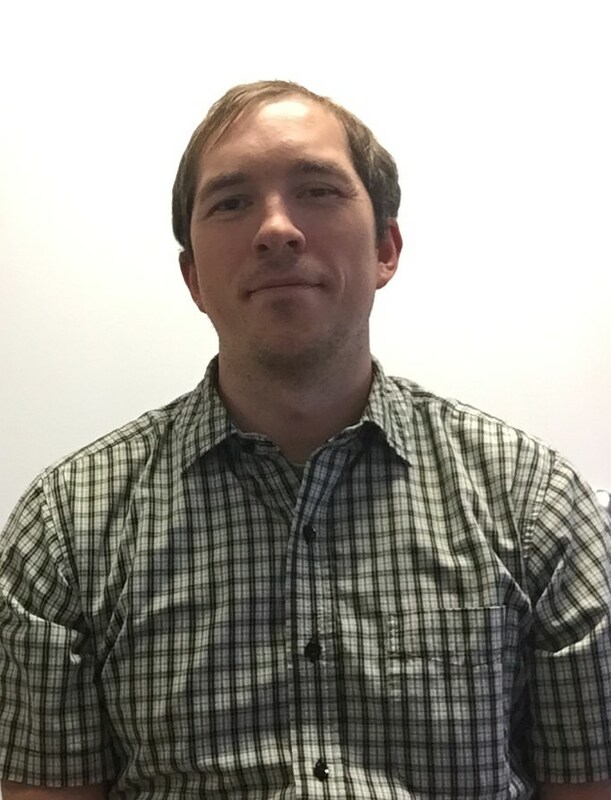 Stewart started working as Program Officer at CANADEM in 2018. Stewart holds an M.Phil degree in International Peace Studies from Trinity College Dublin with a focus on Post-Cold War Peacekeeping Operations and a Bachelor of Arts Honours in History from the University of Regina. In between his M.Phil degree and Bachelors of Arts degree, Stewart worked as Community Outreach Coordinator Southeast Saskatchewan for the Canadian Red Cross in their Disaster Management sector. Stewart successfully helped lead Red Cross disaster response efforts for 4 major disasters, including the Fort McMurray Wildfires of 2016 and the B.C. Wildfires of 2017. Other work experience includes working with the Ministry of Social Services Saskatchewan and Regina Housing Authority. Stewart also served with the Royal Regina Rifles Infantry Reserves for two years while completing his studies at the University of Regina. Mustafa has twenty years of experience in international development including emergency and post conflict settings with the UN and INGOs. His previous fourteen years were with IRC at the Country Director level in Africa and Asia. He has extensive field experience in managing multi-sectoral field programs including health, WASH, education, protection, income generation, food security, DRR, and governance. Mustafa was based long term in Zimbabwe, Pakistan, Guinea, Burundi, Sri Lanka, Tanzania, Kenya, and Sudan, and operated short-term in many others. He advises CANADEM’s field work with a view to validating or recommending changes to policies and procedures, particularly reference screening and selection of candidates for field operations; deployment procedures; and duty of care. He also assists in expanding field programming particularly reference missions/programs/projects in Africa and Arabic speaking countries. With a Master’s Degree in Environmental Engineering, he is a native Arabic speaker, fluent in English, and working knowledge of French and Swahili. Zoe Dugal holds a Master degree in Political Science from McGill University. She started her career in Sierra Leone for the Truth and Reconciliation Commission from 2002 to 2004, an independent organization investigating violations of human rights committed during the conflict in that country. She has then worked on community disarmament for UNDP in Sierra Leone from 2004 to 2006. Zoe then worked as a Project Manager for the Pearson Peacekeeping Center from 2007 to 2011. In this position, she managed a capacity development project for police services in ten African countries to support them in their participation in UN and African Union peacekeeping operations, in collaboration with African multilateral organizations. From 2007 to 2011, Zoe was an Advisor for GIZ, the German development agency, in Kenya where she worked with several government institutions, including the Truth, Justice and Reconciliation Commission and the Kenya National Commission on Human Rights. Zoe managed a project to build the capacity of the Afghan National Police in the area of children’s rights for the International Bureau for Children’s Rights in collaboration with UNICEF in 2015-2016. Zoe previously worked with CANADEM in 2006-2007 and returned in May 2016 as Senior Deputy Director of Field Operations. Kristen joined CANADEM in 2014 as a Senior Field Operations Officer with the Humanitarian Response Team. She holds a Master’s Degree from the University of Ottawa in Public and International Affairs and B.A. in International Studies from Glendon College-York University. She has hands-on experience in the field of peace and reconciliation working in Northern Ireland, the Middle East, and marginalized communities in the UK. She also gained international experience through an internship as a political affairs officer at the Canadian Embassy. Janice is a Field Operations Officer with the Field Operations team. She holds an Honours Bachelor of Social Science in International Development and Globalization from the University of Ottawa. While completing her Bachelor’s degree, Janice was a leader in spearheading the largest student run international development conference in Canada. Prior to joining CANADEM, she worked at Global Affairs Canada assisting in maintaining bilateral relations through the Southeast Asia and Oceania Relations division. Janice has also held numerous positions at Indigenous and Northern Affairs Canada working under various branches such as the Treaties and Aboriginal Government and the Chief Financial Officer. She has also previously conducted field research on occupational health and safety of the garment industry in Bangladesh. Dusan joined CANADEM in 2007 and currently works as the Director of Roster responsible for managing the recruitment, screening, shortlisting and selection of field experts to posts all over the world. He specializes in program management and the coordination of crisis response deployments with United Nations and international NGO field missions. He worked with UNDP in their Crisis Response Unit in 2015 and 2017 as an evaluation and process management expert developing tools and procedures for immediate crisis response. Considered CANADEM’s roster expert, he has helped drive innovative ways to cost effectively manage the current roster of over 43,000. On occasion, he has deployed with CANADEM missions managing a large staff, e.g., Deputy Director of Operations for the 2012 bilateral observation mission to Ukraine that had some 450 observers and 250 local staff. He holds a BA in Economics, a BA in International Relations, an MA in European and Russian Studies, a Graduate Diploma in European Integration Studies and is currently writing his PhD dissertation in Political Science at Carleton University. Pantiwa is a Roster Officer and holds an M.A. in Public and International Affairs from University of Ottawa, a B.A. in British and American Studies from Thammasat University, and and a post-graduate certificate in Event Management from Algonquin College. Her work consists of matching qualified and available Experts to positions and missions with the United Nations and other international organizations. These posts span the globe from Philippines to Syria and across Africa. Pantiwa also coordinates the deployment of those Experts to the field upon selection. 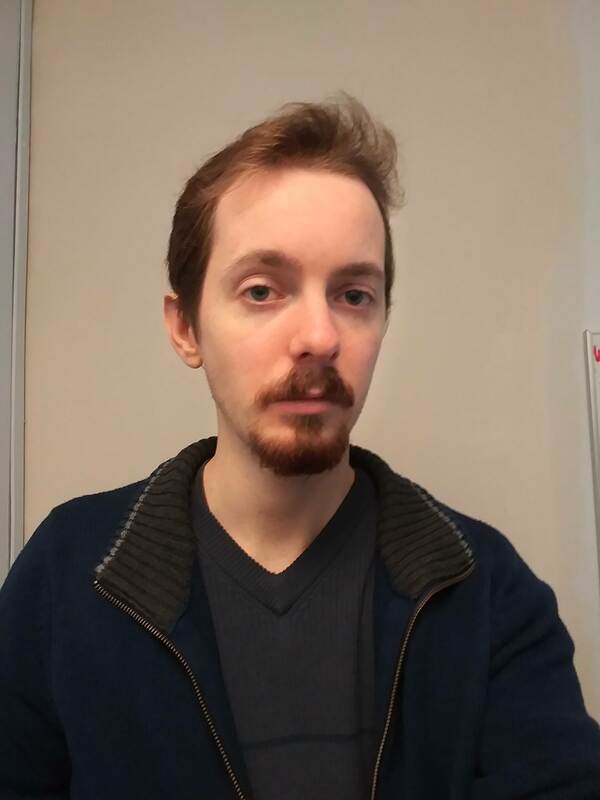 Nick joined the CANADEM Deployments team in 2018. He holds a Master’s degree in History, with a focus on the role of NGOs in international relations and development. Nick acts as a point of contact for deployed consultants before, during, and after their missions abroad while offering administrative support. Ben joined the CANADEM roster team in 2016. He holds a PhD (ABD) and MA in political science from Carleton University and an Honours Bachelors in political science and philosophy from Nipissing University. Ben works to enhance the CANADEM roster by administering training opportunities and performing maintenance on the database. Along with his work on the roster team, Ben has been hosting a political talk radio show, The Filibuster, on CKCU FM since 2013. Randy has been working in the fields of international development, conflict management and capacity building for more than 40 years. He has worked in education and rural development in Asia, multi-sector program management in Africa and in conflict areas including Kosovo, Bosnia and most recently Afghanistan. He has designed and delivered training programs for hundreds of groups in Canada and around the world. His clients have included military, police, diplomats, universities, businesses and NGOs. Having experienced many of the challenges that come with international work in higher stress international environments himself, Randy supports CANADEM in ensuring that it and other agencies fulfill their Duty of Care to personnel sent abroad. Randy has a Masters of Science in International Psychosocial Consultation (U.E.L.) as well as Certificates in Adult Education (St.F.X.U.) and Financial Planning (C.I.F.P.) and a BA in Political Science (Queen’s U.). Hugo Ortega is Director of Information Technology division at CANADEM. As Director of Information Technology, Hugo provides direction and leadership for all aspects of Information Technology, including strategy & business alignment, project management, process improvement, vendor & contract management, collaboration tools, staff support and networks. He ensures maintenance of all CANADEM IT systems locally and remotely, and continuously looks to upgrade the IT network, following closely the development of new technologies.